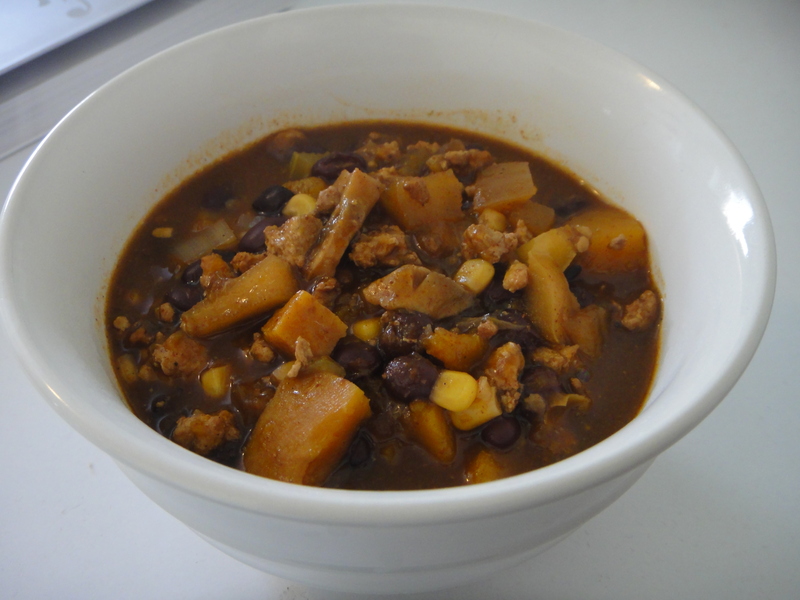 This recipe was the best chili I have ever had. I am not even over-exaggerating. It was sensational, and had so many complex falvours in it. I became a HUGE fan, and seriously considered making it again right away. It was that good. 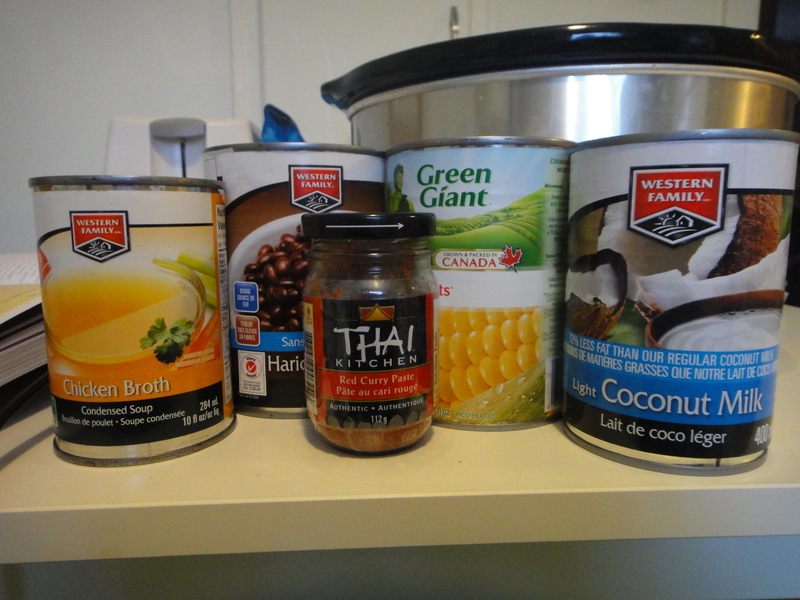 The base had thai curry paste, coconut milk and chicken broth. Hmm! 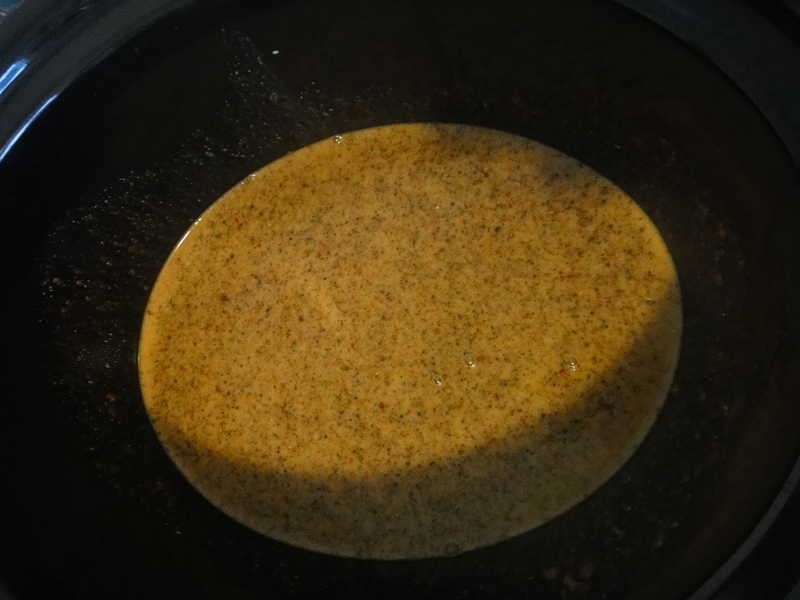 I added chili powder and cumin too. It was SO good! Very very spicy, but so good! 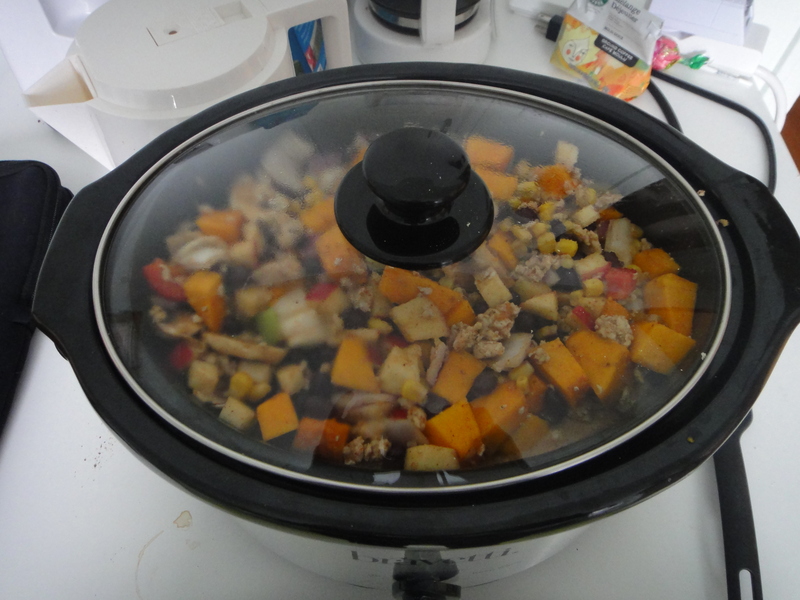 It was also super easy to make a day or two ahead of time, and leave in the fridge, ready to pop into the crockpot in the morning. 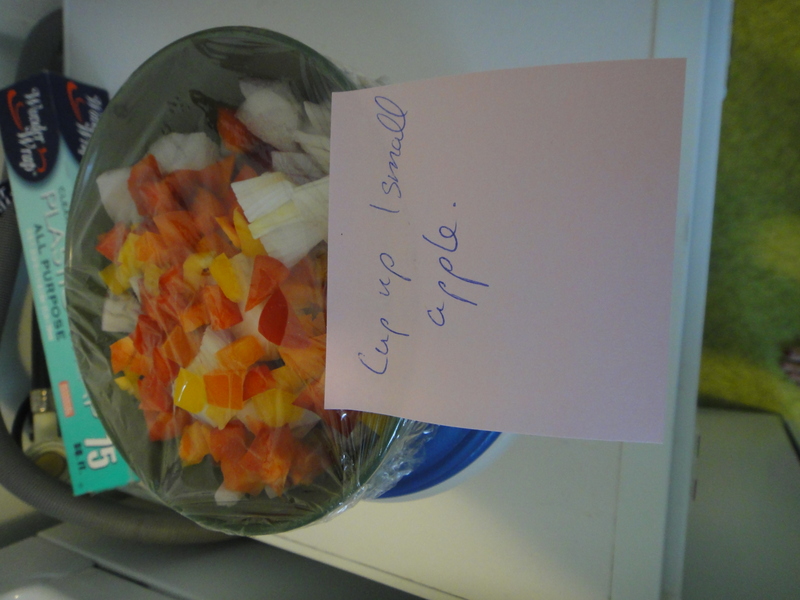 I left myself a note not to forget to cut up an apple the day of though, so it wouldn’t brown. 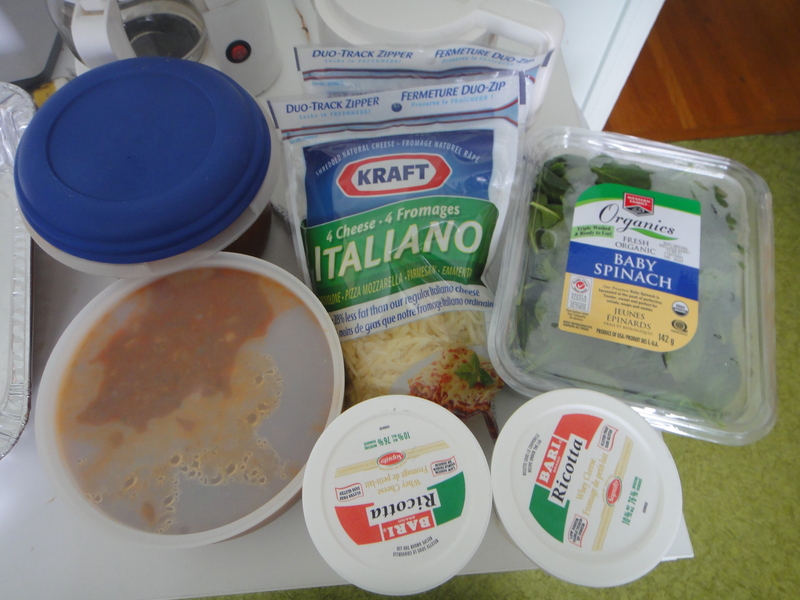 Here are all of the ingredients, all loaded into the crockpot! It is all ready to go. Here is the fabulous chili after cooking for 6 hrs. 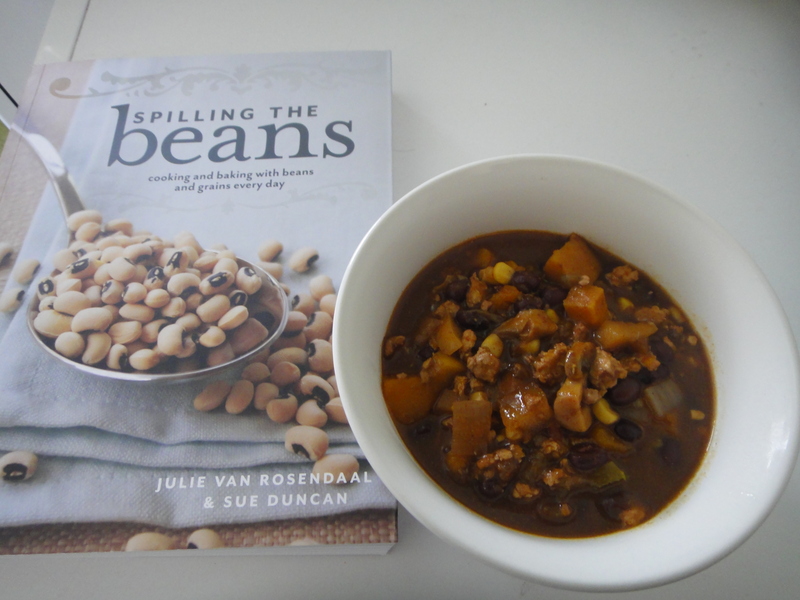 Beautiful Chili, from a beautiful book! You’re going to want to make extras. Trust me! 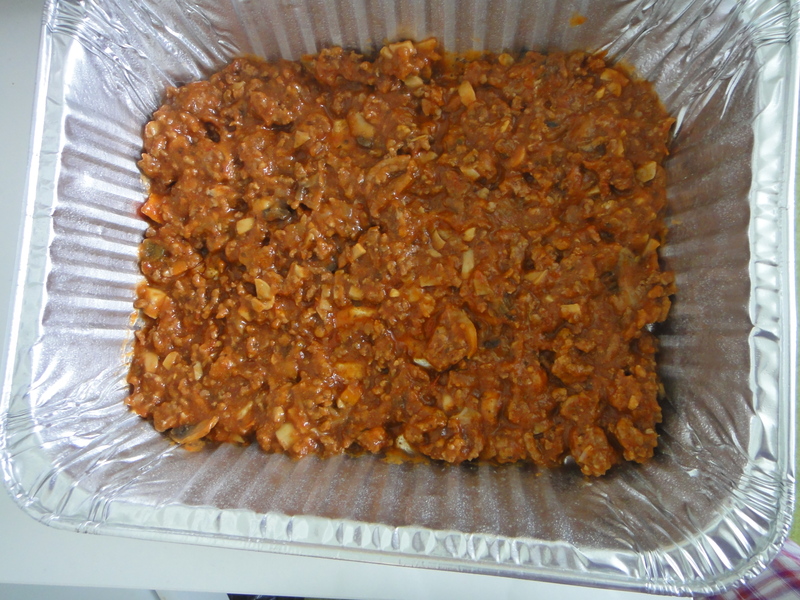 To make ahead: Brown ground turkey until fully cooked. Dice up all vegetables. 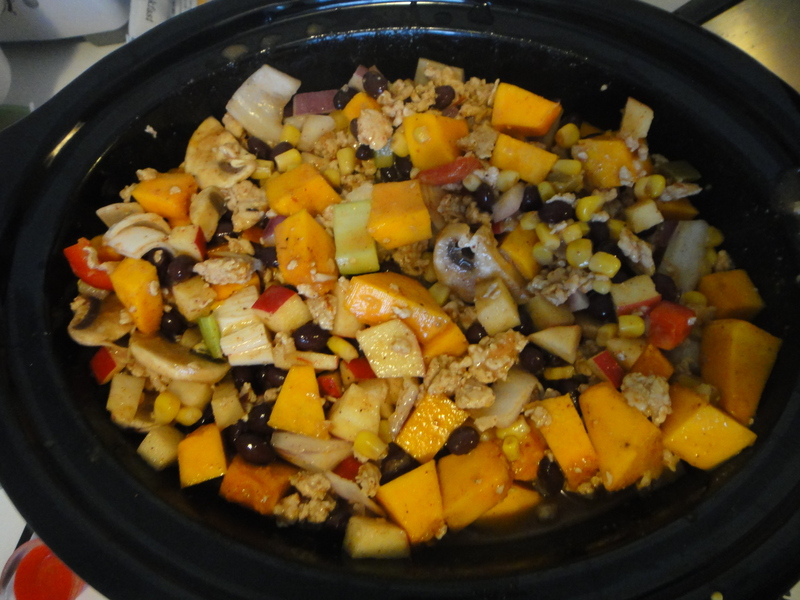 Store in a tupperware container until ready to place in crockpot. 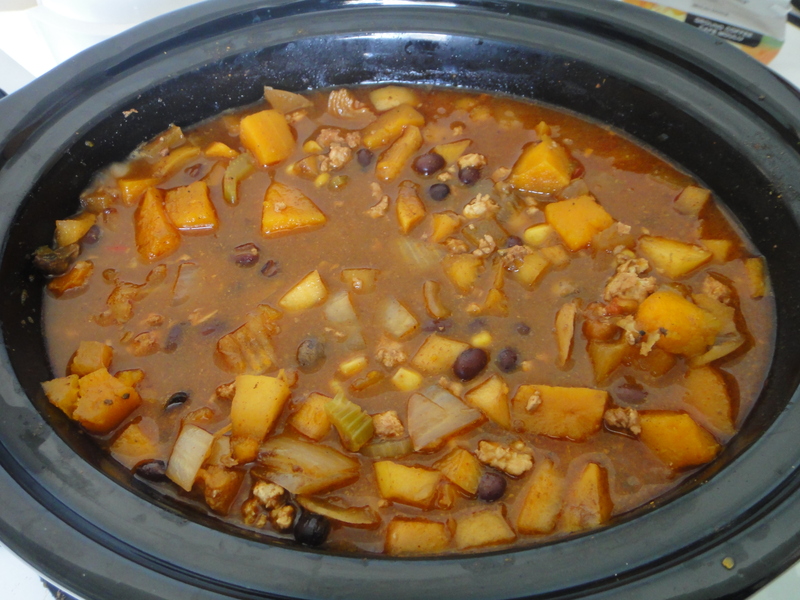 When ready to cook, combine liquids and spices in crockpot. Add veggies, turkey and add diced apple. Cook on low for MAX 6.5 hrs. Enjoy. A lot! As a foodie, I am a little ashamed to say that I’ve never before made home made lasagna. I felt it was finally time to try my hand at the Italian classic. 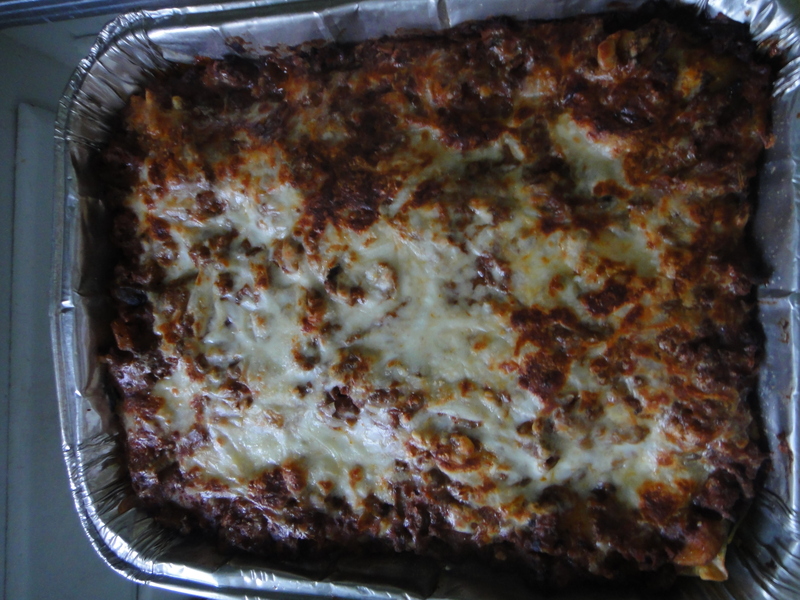 For this recipe, I made two massive lasagnas, one that fed Justin and I for about 5 days straight (lunch and dinner) – so it could feed a lot of people. I made two so that I can donate one to the Sue Huff campaign when the writ is dropped. I used ground beef and mild Italian sausage. 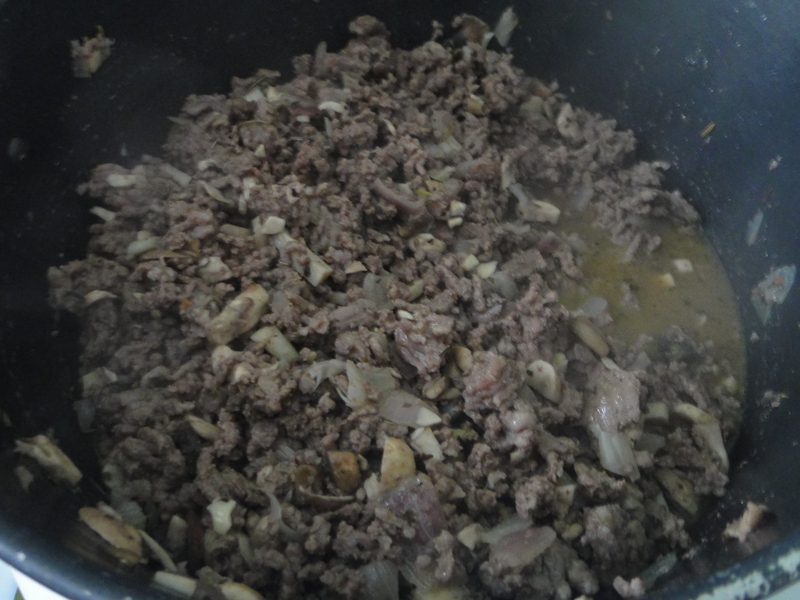 The mixture gave the meat a nice flavour. 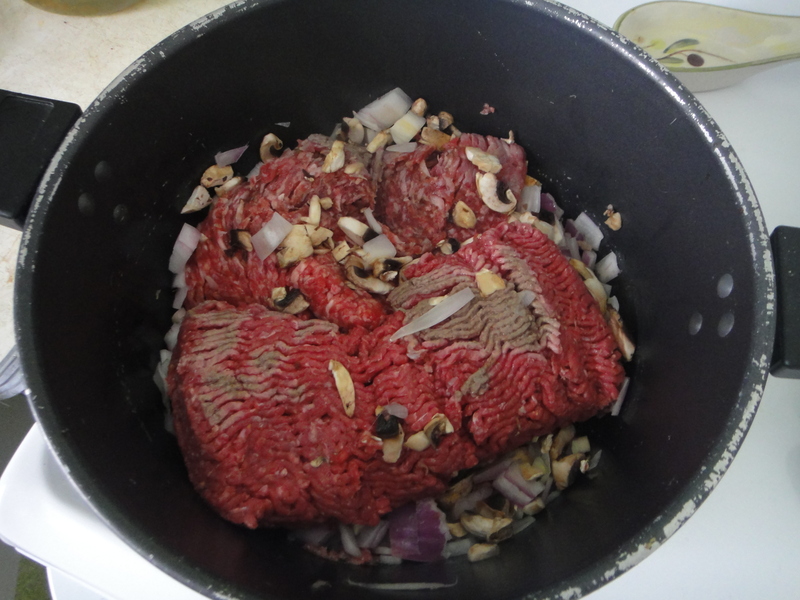 I threw both meats in a massive pot to brown, with some onions and mushrooms. 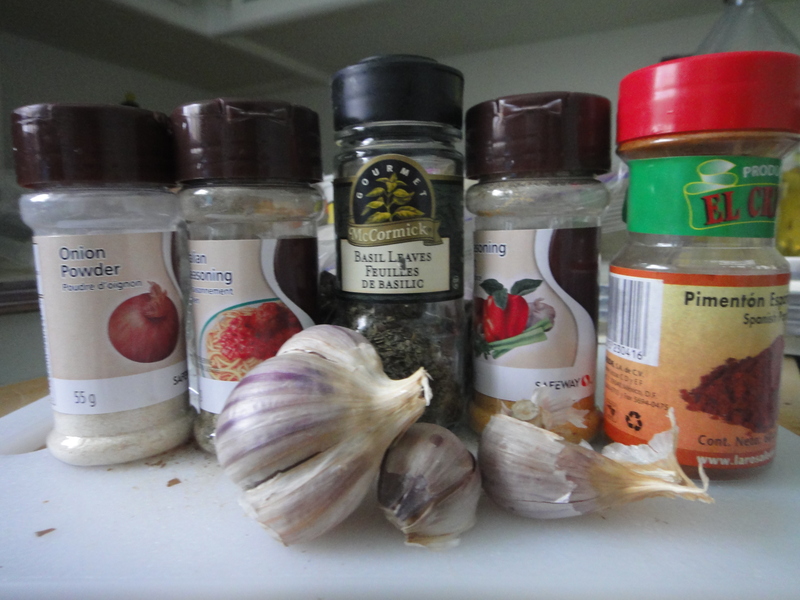 I also used a combination of spices, to keep things interesting. Here’s the meal, all ready to be turned into sauce. 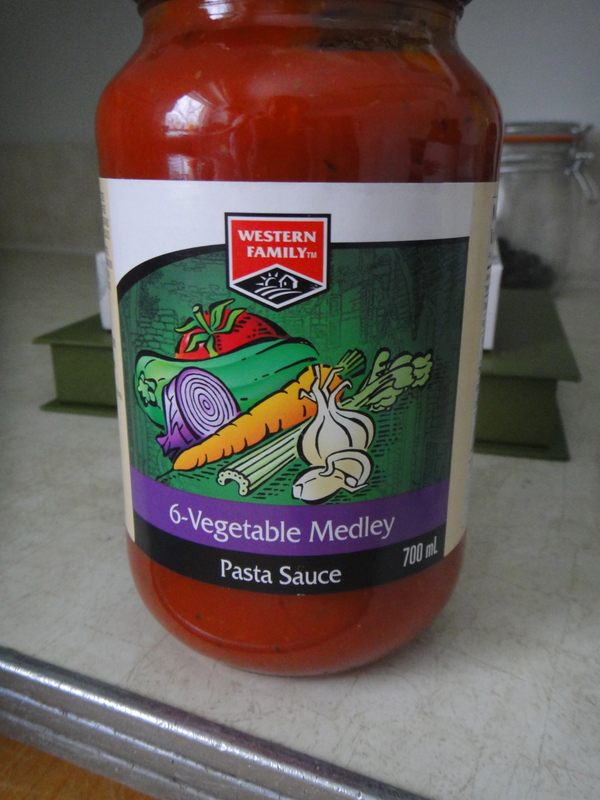 Here’s the tasty pasta sauce I made for the base. 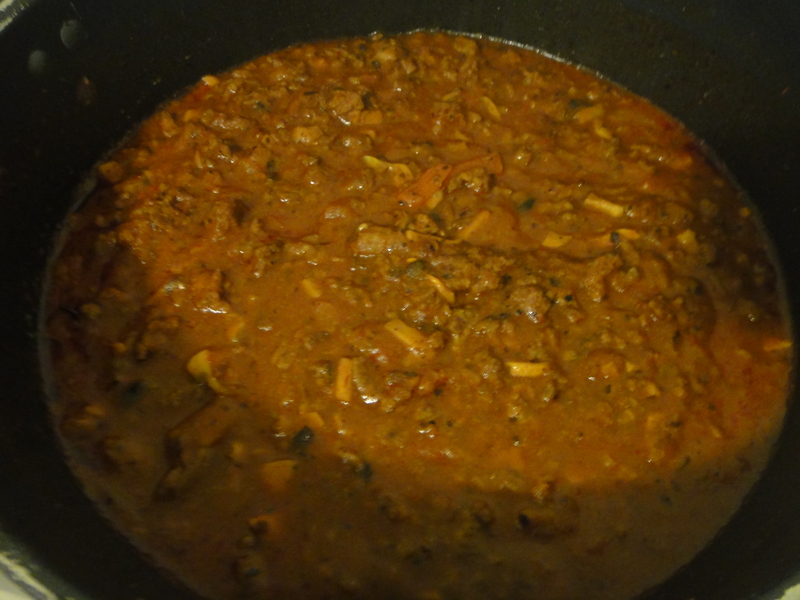 I let it simmer for 3 hours on low, to get the flavours flowing. Then, I let it sit in the fridge overnight, to let the juices and flavours meld together even better. The next day, I began to assemble the ingredients. 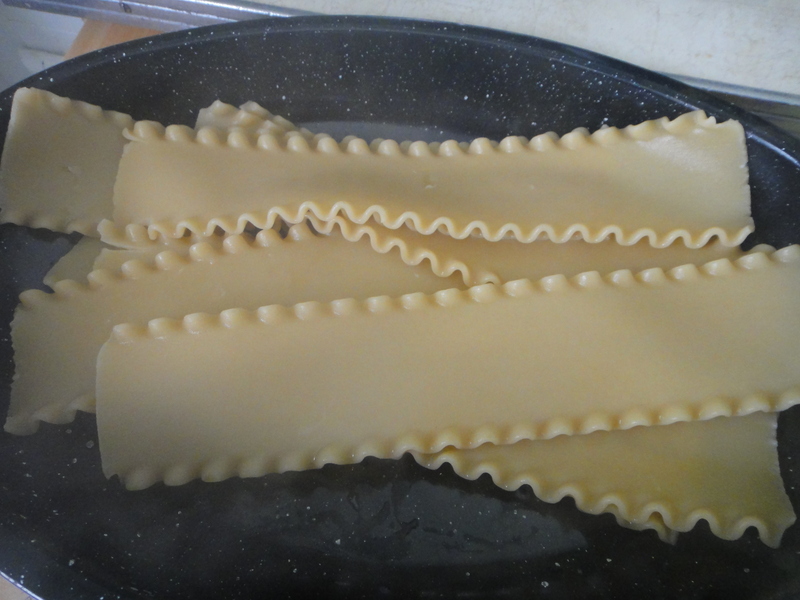 I cooked the lasagna noodles very briefly, until they were still almost raw. 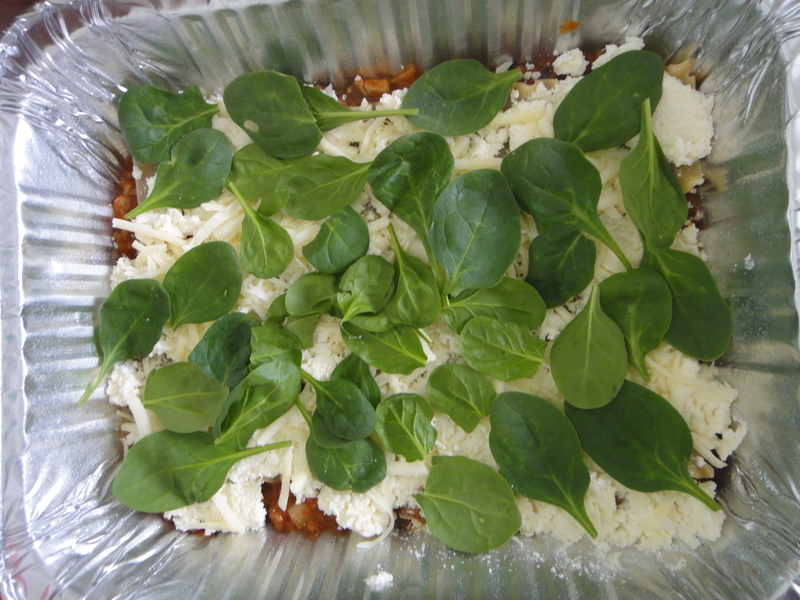 Here they are, waiting to be assembled into the tasty lasagna. 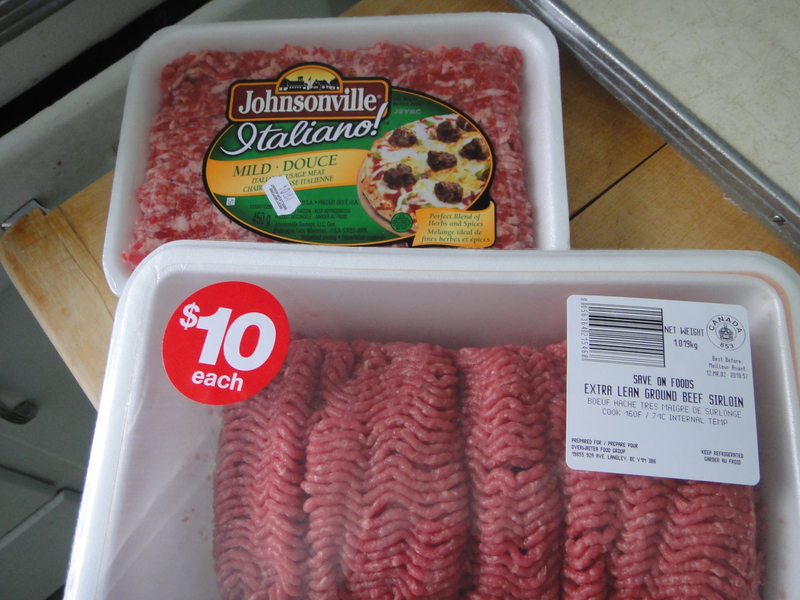 I decided to go with classic ingredients for the lasagna. Riccotta, spinach, and a 3 cheese blend. I assembled the ingredients in this order: A base layer of sauce. 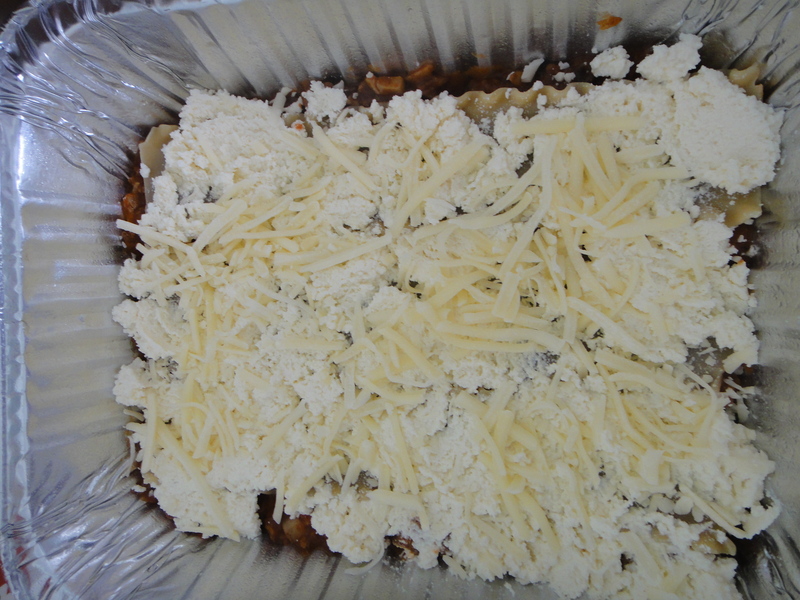 A layer of 3 cheese blend. A layer of spinach. Repeat three times, until you get to the top of your pan. Top last layer with sauce and the rest of your cheese. 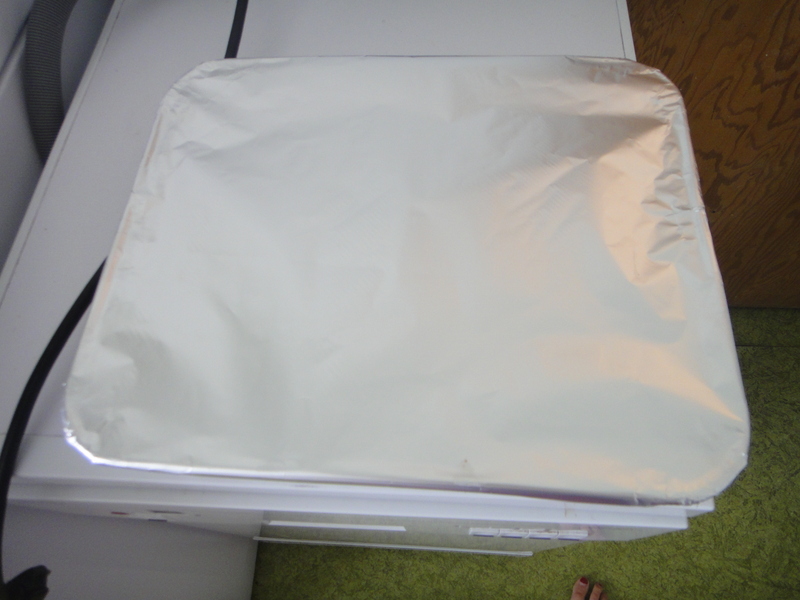 Cover with tinfoil (shinny side down). Pop it in the oven at 375 for 45 minutes. Then take off the tinfoil and broil on low for 5 minutes, until the cheese is golden and bubbly. While you are waiting for the lasagna to cook, enjoy a beverage! I found this in the back of our fridge from our trip to Peru. 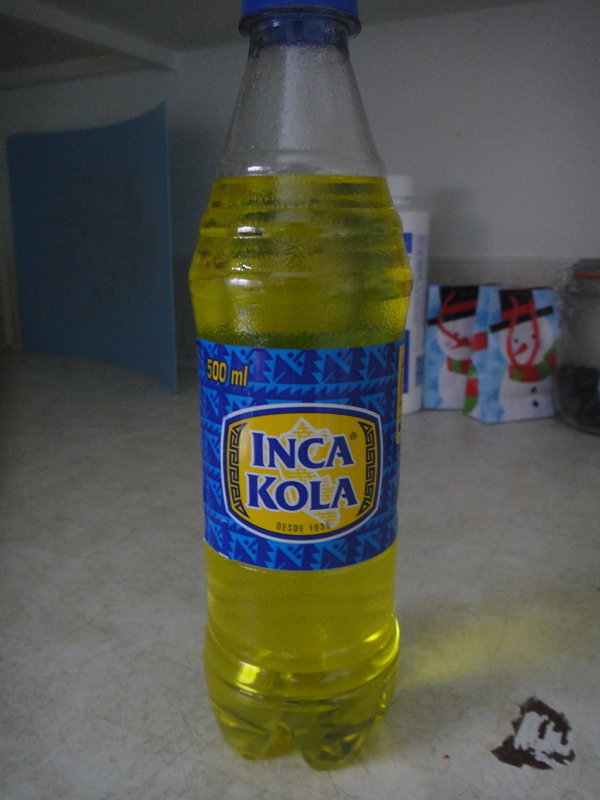 Inca Kola is amazing! It tastes just like cream soda, but has an eerie neon yellow colour. We had so many in Peru, and packed our suitcases with them when we came home. This was our last one, so I thought I’d share it with you! 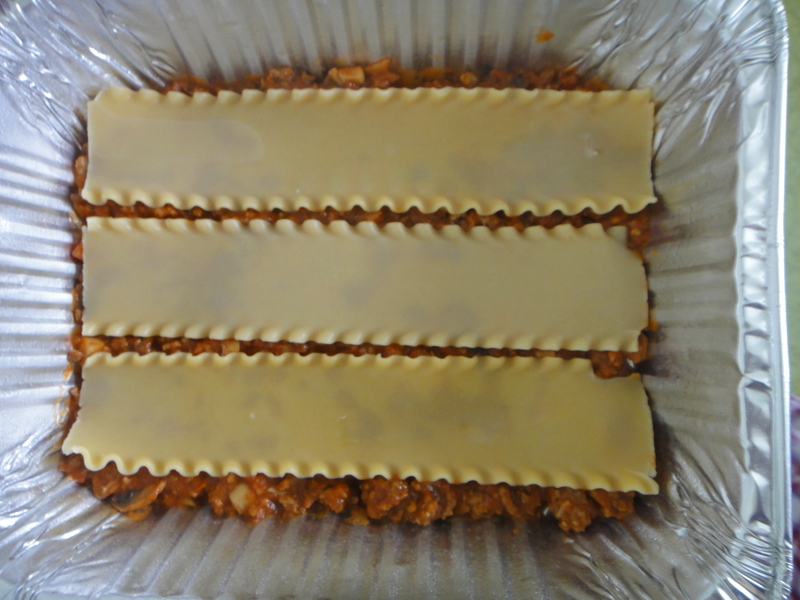 Here is the bakes lasagna, all bubbly and golden brown. It was quite a success! Take a look at those melty tasty layers of awesome! 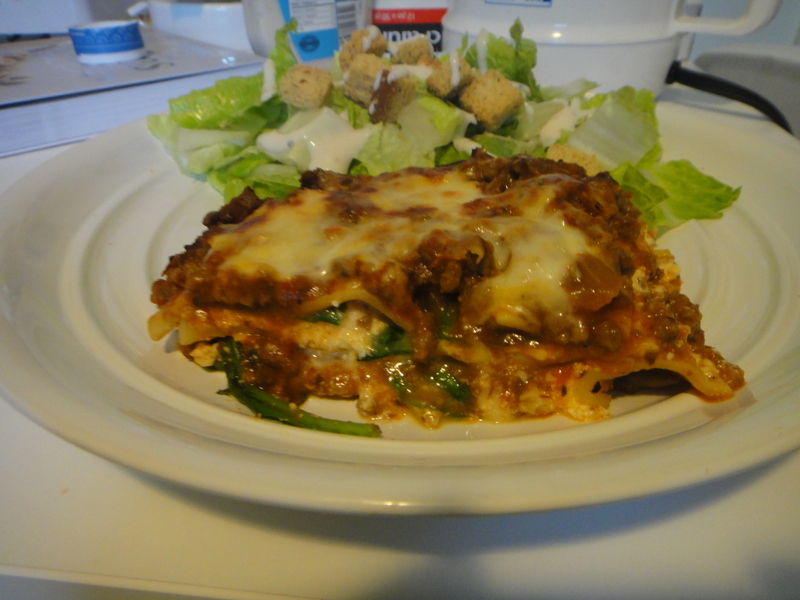 My first attempt at lasagna was a smashing success! The next time I make it though, I will invite many people over. It was wayyy too much for the two of us, and we got quite sick of it by the 5th day. 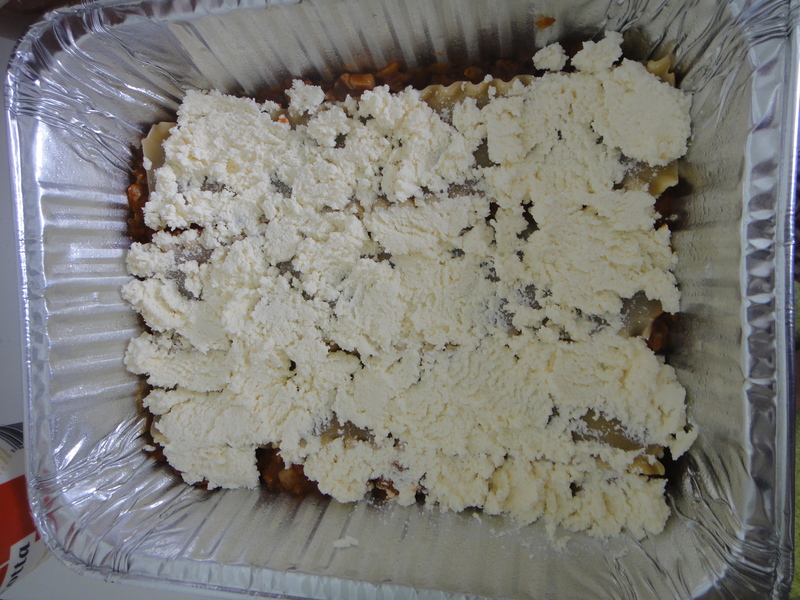 2 containers of of ricotta cheese. Brown meat with onions and mushrooms. Add spices and seasoning. Add pasta sauce. Let simmer for 2-3 hours and let rest overnight in fridge. 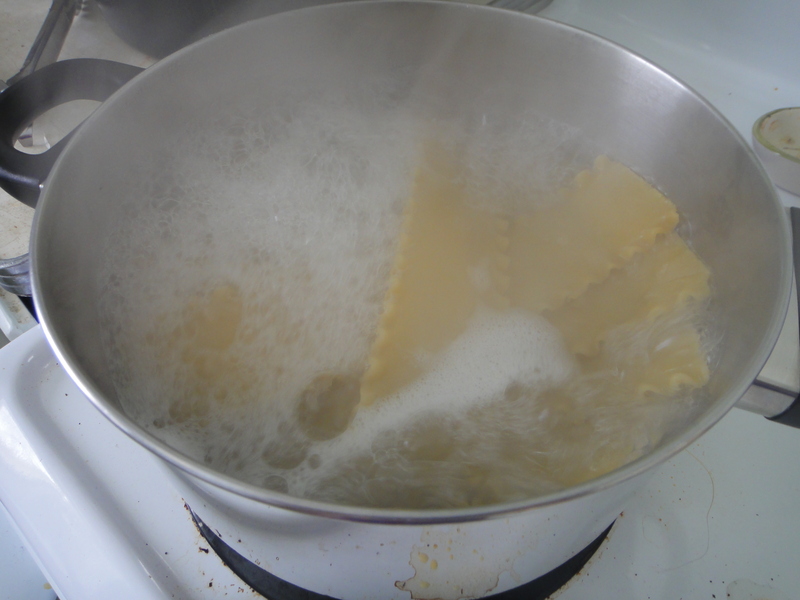 Boil lasagna noodles for 3 minutes, until just barely cooked. Spray a baking dish with cooking spray. 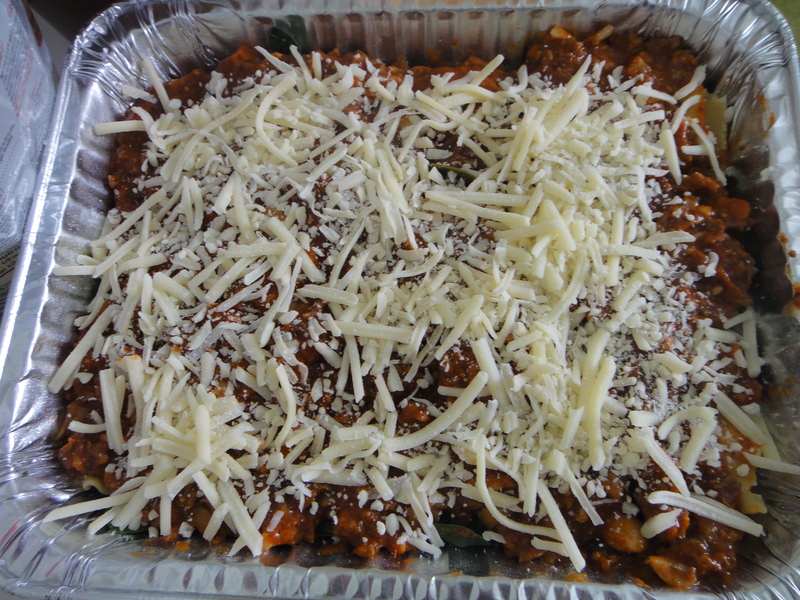 Assemble lasagna with the following: a layer of sauce, a layer of noodles, a layer of ricotta, a layer of cheese, a layer of spinach. Repeat 3 times. Top with sauce and cheese. Cover with tinfoil and bake at 375 for 45 minutes. Uncover and broil on low for 5 minutes until cheese is golden and bubbly. Enjoy! Makes two large lasagnas. Half ingredients if you would like to make one.